A delectable French Dip Sandwich from the Hampton Diner in New Jersey. Photo by Jennifer Jean Miller. There you have a French Dip, a sandwich many love…though some may have passed on of course if they find the idea of dampened bread unappealing…or of course if there’s a dietary restriction. If you haven’t passed on it for any of the previously listed reasons, it’s sure worth a try. For the author, French Dip sandwiches have been an institution…something that brings back warm, cozy memories of times with family members who have passed on…and who had helped her to make the acquaintance of this fine sandwich. How have many of us connected with a French Dip sandwich? Typically, it’s a pub, diner or greasy spoon eatery that dishes out this delectable concoction. Usually, it’s served with a cup of special gravy, known as “au jus,” (which in French translates to “in its own juices) that the lucky recipient dunks the sandwich into (and the author also enjoys giving her fries with her meal a pass in the au jus too). Again, some critics have downed this sandwich for the bread already having received a juice dampening, which then is warmed and filled typically with cooked roast beef and given an optional dose of more juice with the “au jus.” Those French Dip naysayers though are few and far in between. The main complaint is the disintegration of the bread. The author here begs to differ and finds that one of the best melt-in-your-mouth characteristics. Most who have written online about the French Dip agree, pen literal praises about it and have crowned in royalty in the sandwich world. The underside of this French Dip Sandwich, from the HAT Tavern in Summit, NJ, shows how the bread is dipped as part of the sandwich’s special touch. Photo by Jennifer Jean Miller. The author has taken quests to find a delicious French Dip in her area, having the mainstay place called Eagan’s Restaurant in North Arlington, New Jersey, a tradition in that area since the 1930s, close down in 2001 to make way for a CVS. One of the author’s new favorite French Dip stops in her area is the HAT Tavern in the Grand Summit Hotel of Summit, New Jersey. Nestled in an old-world hotel, the tavern boasts some scrumptious menu items, at prices comparable and even less than some establishments. The French Dip was only $12, served with a side of fresh cut fries and a pickle. The average cost in a New Jersey eating establishment for a French Dip runs between $9 and $12, with one of the most popular diners in the area featuring the sandwich for $11.95. 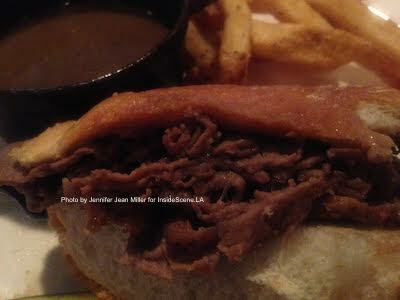 However, that French Dip is smothered with Swiss Cheese and caramelized onions, creating more of a Philly Cheesesteak. Many eateries have added in cheese — or even switched bread types — another diner in the vicinity uses Monterey Jack Cheese and Focaccia Bread and offers a choice of fries, lower than the average price at only 8.95. Though the author is aware there are many more French Dip sandwiches on her bucket list to try in her area, she recommends as well the Sparta Classic Diner French Dip with melted Mozzarella Cheese in Sparta, New Jersey and the Hampton Diner of Hampton, New Jersey’s French Dip — Sparta’s runs at $9.95 and Hampton’s $9.99. However, the French Dip reportedly didn’t get its start in a New Jersey diner — or even come from France itself — it’s said to have been birthed in Los Angeles of all places. This is where the fun begins with two establishments laying claim to the creation — Philippe The Original and Cole’s…both in Los Angeles, both stating to have opened in 1908 and both eateries about an eight-minute drive apart, barring Los Angeles traffic. The online sparring between their two Facebook Pages and websites is amusing. Both picture their neon signs emblazoned at their establishments. “Philippe The Original French Dipped Sandwich” and “Coles Originators French Dipped Sandwiches.” Philippe has an added red banner on Facebook declaring “Home of the Original French Dipped Sandwich,” with Cole’s countering with its web URL including “French Dip” (though it routes to a masked URL for 213nightlife.com, which has a number of food and entertainment venues under its umbrella). 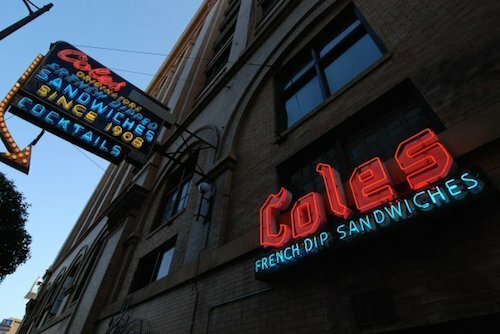 “Coles, Originators of the French Dip,” is boldly claimed as the name of the Cole’s Facebook Page. Both also hawk their own brand of hot mustard to slather on top of the sandwiches before enjoying (not how it’s normally eaten in the Northeast), with Cole’s offering a tutorial video on enjoying the sandwich, condiment and all. Facebook may also be a good gauge between the two, with Philippe currently clocking in close to 17,700 Facebook likes and visits more than 40,000…Cole’s has just over. 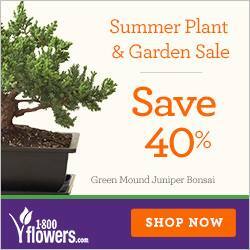 5,000 Facebook fans and almost 28,000 visits. The next question should be…who is the more believable candidate as the true founder of the French Dip? Another local author to that area, Larry Levine, pondered the topic too and in weighing his evidence, and his reporter instincts told him Philippe developed it. This author votes for Philippe too…though she believes Cole’s has added its own twist with the “au jus” on the side, which we are all also familiar with today. The reason is that Philippe, of course, is a French name, with the founder, Philippe Matieu, having hailed from France. So the story goes on Philippe’s end, he was preparing a sandwich for a policeman named Officer French in 1918 and inadvertently dropped the bread into the meat juice. The officer was in a rush and said he would take it anyway…and came back the next day requesting more of the same for other officers in the station. The restaurant’s website describes the naming “lost to history,” and is attributed to either Philippe’s heritage, the officer or the bread. The exterior of Philippe’s. Image courtesy of Facebook. Philippe boasts a range of items to accompany the sandwiches, which are prepared fresh in front of the customers by one of ten “carvers” behind the counter. Pickles, olives, cole slaw, potato salad and pickled eggs are among some of the offerings as a sandwich side. Unlike in the Northeast, Philippe sandwiches can be made with lamb, turkey, ham or roast pork, with bread dipped in the respective juices — with a choice of how much “au jus” the individual would like dipped on their bread. Cheeses can be added as an extra too. 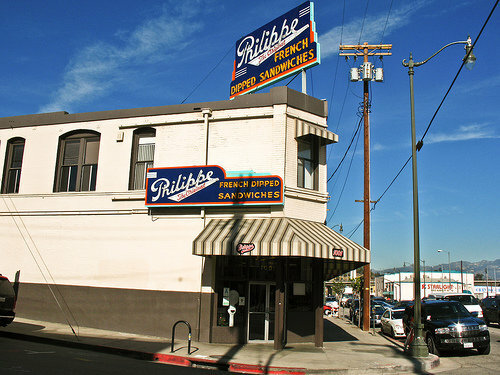 The atmosphere in Philippe’s is casual, and the location has reportedly remained fairly unchanged since its move to its current spot in 1951 (its former location was where the 101 freeway now passes and the establishment was forced to move) with food served on paper plates. Diners can sit with their sandwich at long tables and often may share seating with other diners — which those who eat there say they enjoy. Though Philippe doesn’t list its prices on the menu, on Levine’s article from 2011, he lists the lamb sandwich at $7.50. This may likely be the same pricing, with Philippe embracing a reasonable cup of coffee, which today still runs only .45 cents (raised from a nickel to a dime beginning in 1977). Philippe offers chili, soup, limited time sandwich offerings (like Pastrami), desserts…and even has a plentiful breakfast menu. Sparkling waters, soft drinks, wine and beer are among some of the beverages at Philippe’s. Another convenience for Philippe is its parking lot…which Cole’s patrons must seek out street parking…or they can reserve a discounted spot directly on the Cole’s website. Cole’s states its chef Jack Garlinghouse reportedly developed its French Dip sandwich in January 1908 to accommodate a patron with chewing issues due to sore gums in his mouth from dental work. Other patrons supposedly put in their requests for au jus sides and Cole’s legendary sandwich was said to be born. However, restaurateur Henry Cole wasn’t French and neither was his chef. A view of Cole’s from the street. Image courtesy of Facebook. Cole’s offers its sandwiches with “au jus” and what they call an “atomic pickle spear” included, in either the “Skinny Dip” or “Big Dipper” sizes. A skinny portion is half of the size of the big one and comes with a side. Skinny currently starts at $9.19 for the pork version and $9.87 for a big. Pastrami, USDA Prime Beef, Turkey and Lamb are others. Cheese and extra pickles run $1.85 each at present and there are a range of sides, including fries, soups and creamed spinach, ranging between $4.30 and $5.69 per side. Some salads and sandwiches, chili and chili fries, are also on Cole’s menu. Cole’s also has a bar in the establishment — referred to on its website as “Los Angeles’ oldest public house,” with a range of beer, wine, mixed drinks and drink specials…and also Happy Hours. The establishment has been lauded for preserving its heritage with a Preservation Award from the Los Angeles Conservancy, with a 40-foot mahogany bar coined the “Red Car Bar,” with a red car from the Pacific Electric Railway and with period glass lighting and tile flooring. As of 1989, Cole’s has been a Los Angeles Historical-Cultural Monument. Larry Levine preferred Philippe’s in his review, citing the Cole’s “Big Dipper” Lamb sandwich for not having adequate meat on it. He paid $11.39 for his sandwich at publication time (Cole’s expresses on its menu the price for lamb is a market price). Levine headed to Philippe’s to grab a sandwich after Cole’s. The verdict here? On the author’s next L.A. trip she looks forward to visiting both Philippe’s and Cole’s. Until then, she’ll continue to enjoy these sandwiches in her corner of the world. Thanks to the innovators who invented this classic. The French Dip the author enjoyed from the HAT Tavern. Photo by Jennifer Jean Miller. 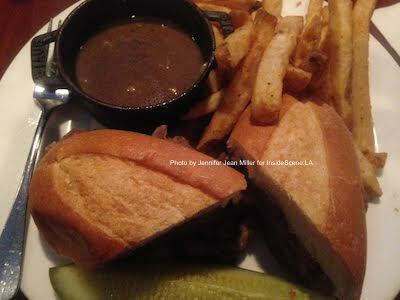 Share with us if you’ve been to either of these places and what you think…then pass this story on to your friends to tell them about these really hip, retro Los Angeles eateries and cool French Dip Sandwiches they offer. Then like us here on Facebook.